Alma was born and raised in Dallas, Texas. 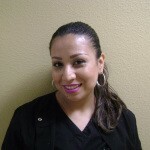 Alma is one of our greatest assets here at Times Square Dental. 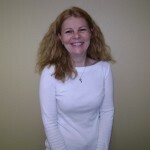 She has actively been in the dental field since 2005. 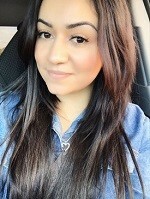 What Alma likes most about her job is that she can help patients with every aspect of their dental treatment, starting from the moment they step into the door scheduling their appointments to helping them understanding and utilizing their benefits to the fullest. Alma does so much more in between. Alma takes pride in being organized, having strong work ethics and she loves learning new things while helping others. Outside of the office, she enjoys spending time with her family and friends. Alma has a 4 year old daughter and has been happily married for 9 years. She loves to cook, read and shop! 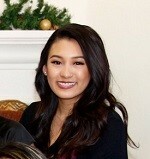 Danielle was born in Vietnam and raised in Arlington, Texas. She has been working in the dental field since 2004. Danielle received her bachelor’s degree in biology from UTA and then attended TWU where she graduated with her dental hygiene degree in 2011. She currently resides in Grand Prairie with her husband and baby boy, Kaleb. She enjoys spending time with her family, reading and shopping! Melody was born in Mexico and moved to Texas when she was only 10 years old to be closer to her grandparents. She graduated from ATI Technical Training center and has been a devoted staff member for almost 10 years. Melody always has a smile on her face and is also here to make sure your experience at Star Dental is exceptional in every way. Outside the office, Melody loves spending time with her beautiful daughter and 3 dogs, which she loves dearly. She also loves spending time outdoors enjoying the Texas summer heat, which she would choose over the winter any day! Melody loves all different types of music, cooking all types of dishes, is a makeup junkie, and travels quite a bit learning about different cultures. 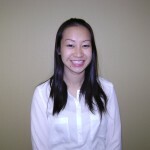 Krystal was born and raised in the Dallas area and recently just discovered her passion in the field of dentistry. 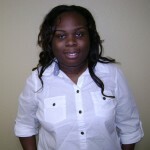 Krystal graduated from Everest College while interning at a neighboring dental office to develop her skills to succeed. In her free time, Krystal loves to spend time with her family and friends, and also loves to travel! Sydney was born and raised in Texas and has spent her entire life here. After starting a job at her first dental office in 2014, she quickly grew a love and interest for the dental field. She is currently working to pursue a career in dental hygiene at Tarrant County College. As a member of the front desk staff at Times Square Dental, she hopes to make a great lasting impression when you first step through our doors and have you leaving with a smile on your face. Thien has traveled a long way to settle down in Texas having been born and raised in Malaysia, although he is of Vietnamese decent. 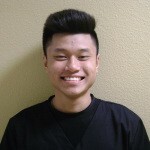 Thien is one of our highly motivated staff members and has just recently found his passion for the field of dentistry. He is currently a full time student at the University of Texas, Arlington majoring in Biology in order to become a Dentist in the future! In his free time, Thien enjoys playing sports such as basketball, going out with his friends and meeting new people. Sophie was born and raised in France, moving to the US in 1992. After 15 years of being a stay at home mother, Sophie decided she was ready for a change and chose dental assisting because she loves to be around people and work in a team. Sophie is very social and loves interacting with people. In her free time, she likes to spend time with her three children, two dogs and two cats. 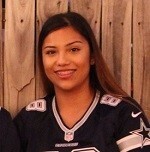 Yesenia was born and raised in Dallas. Yesenia is currently attending Tarrant County Community college to continue her education. In her free time, Yesenia enjoys playing volleyball and spending quality time with her family, friends, and puppy.